Is “live drafting” the inevitable way of future teaching? How has technological advancement impacted draft development and are these ‘advances’ for the better or for the worse? Should we embrace these changes or should we hold on to tried-and-true methods to retain the progress that has already been made in understanding the draft? 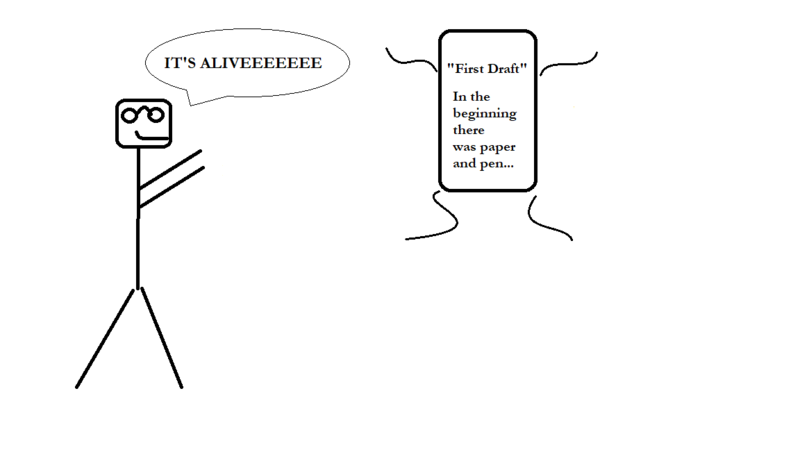 Drafts have traditionally been submitted via paper copy. This means of submission has the effect of making documents feel static, which can unintentionally cause students to pause. Waiting for professor feedback, students may avoid making drastic changes to a draft and as such, progress is potentially put on hold. Such time lapses can be particularly damning considering the extremely short length of the semester. Students run the risk of losing track of thoughts that might have helped to facilitate the advancement of ideas within the paper. The “live draft” is truly changing the way teachers can work with their students. Now, however, with the invention and integration of Google Documents and other such technologies into the classroom, drafts have gained a sense of movement because they are live. When students exclusively use such technologies, they can not only access their documents remotely from anywhere at any time but they can also keep track of their thoughts by leaving comments on their own drafts for potential future exploration. Such comments might seem far less permanent or daunting than a partially explored idea or sentence clumsily embedded in a draft on a Word document and far less difficult to misplace than a quick note scrawled on a paper copy. As such, ideas are not lost (even if a comment is deleted, as all comments are stored) and the potential for thought to imbue further thought at any given time flourishes. The implications of live documents from the professorial perspective are similarly widespread. Professors have the opportunity to see and comment on papers in their most current form. They can also do so while a student is simultaneously logged into a document almost as an impromptu tutoring session, which can help a professor aid with troubleshooting, provide encouragement, and allow for the exchange of thoughts. Furthermore, professors can view how the draft came to be as a result of the history-tracking function. Students who are aware of this function might even more fully engage with the writing process knowing that the document, in its live form, can be viewed at any time as can the history of its development. To those who teach composition, the implications of a live document versus a static document are clear. They can provide professors with an opportunity to help students conceive of their own individual processes, a goal it seems all scholars and practitioners can agree upon. For all that is good that comes with these advancements, however, there are still some drawbacks to consider. Some professors may prefer the static document because it can pause the swirling chaos of student thought. This can provide time for reflection on the part of both student and professor and work to control the nagging compulsion that technology and a live document can invite. It is also important to remember that it takes time to read, grade, and provide feedback on drafts. Hence, by the time a professor gets around to looking over the very last student’s live draft, it might be a week or more past the deadline. As such, a professor would ethically need to grade the draft as of the due date using the history tracking function to uphold fair grading practices, and in this case, the professor might as well ask for students to submit paper copies because of their static nature. The draft – how it is defined and how it functions – lurks in muddy waters. With differing student processes, professor objectives and preferences, and the technological environment clash, it is difficult to gain footing with a topic that becomes increasingly complex as the years go by. Hence, a re-conceptualization is most sorely needed. In my last installment in this monster of a draft, I will explore the ways in which we can free ourselves from the limitations that strict definitions invite, all of which center around a context-based approach. See you there! Do you have ideas of your own related to this concept of a ‘live draft’? Please comment below, and like, subscribe, and share! I recently sat down with Stony Brook University’s Undergraduate Student President, Ayyan Zubair – before his speech to the campus community about the recent ending of DACA – to discuss the role of writing, rhetoric, and effective communication as a student, activist, and emerging global citizen. What do you think the value of writing and rhetoric is for students across academic disciplines? I have a lot of friends who are pre-med – I’m a math and economics major. And if you can’t write, you really can’t speak that well either. For example, whether you like Obama or not, you can’t deny that he’s a brilliant speaker. And why is he a brilliant speaker? Well, he’s able to write. I’m actually reading his book right now, The Audacity of Hope. His story’s amazing. I’m waiting for his next one after being president – to see how his mindset changed over time. And without the ability to write, how are you going to function in society? The ability to make an argument – whether that’s with LOLs or higher vocabulary – it’s essentially the same. Sometimes it’s better to use more informal text, but the ability to write is the same. If you can write, you can express your thoughts eloquently whether with LOLs or not. How do you use some of the writing and rhetoric skills we covered in our class? Academically? Professionally? Personally? I’ve also always found that writing is immortal in a sense. We’re still reading the words of those who died millennia ago. But our conversation right now will be lost to history – unless you write it down. No one will ever know what happened, unless you write it down. What skills and understanding do you feel like you’ve gained from studying writing? Our writing 102 class teaches you the skills to help you as a writer. You can see a marked improvement. The best writers read a lot, but they also write a lot. And if you don’t write, then how are you going to get better at it? You can watch all the basketball you want, but if you don’t practice free throws, you’re not going to get better at them. I’ve acquired these skills – rhetorical strategies and philosophies – and now for me in the past couple of years I’ve tried to implement them in things like my speech here. And things like this [my speech] – where people value my opinion – whether they agree or disagree with them, it’s pretty cool. Especially being someone who’s felt marginalized, one, because I couldn’t speak that well growing up. And then, me being Muslim, so not feeling completely home at school, and kind of not having my opinions heard. 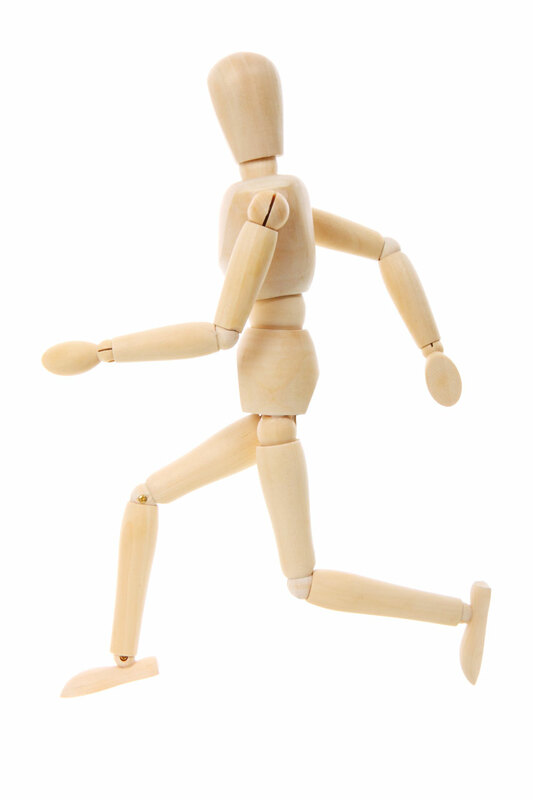 So I really enjoy writing – I’m just as passionate about it now as when I was running, probably even more so. How do you see the lessons you’ve learned from WRT 102 serving you in future endeavors? I also want to write novels. Maybe after my LSAT. Have you seen Fresh Off the Boat? I’ve always wanted to remake that from a Muslim point of view – to expose people to what a Muslim family is really like. I’d like to start a podcast too. My idea is like a “President’s Corner” type thing to highlight different people on campus, like the captain of the football team, or a professor who just published a paper. I don’t want people living by my opinion, but me being in the position I’m in as president, it could be really interesting. Also having a platform of, say, college democrats and college republicans to have a discussion. Let’s talk, you know? You used to have an excuse: Oh, the big media outlets won’t let me in; the big newspapers won’t let me in; the big T.V. companies won’t let me in. But now, you can just record a podcast and post it on Youtube. You can write a book and self-publish. You can build a following yourself. Any advice to your fellow classmates on the lessons that you’ve learned from writing and rhetoric – both in the classroom and out in the world? Know your audience. Like the speech I’m giving today: it’s not one steeped in policy or minutia – it’s all about emotional connection with people. The dreamers especially. Speaking to them and saying, ‘Hey, we’re going to stand with you.’ And that’s important. An added benefit of writing – and writing well – is you become more organized. If you write a piece and don’t make an outline, you’re just rambling to a certain extent – unless you have some sort of mental or physical outline. I remember our research paper outlines helped a lot because you have to say, ‘Okay, paragraph one is about this, and so on.’ And because of this type of organization I was able to transfer that skill. It even carries over into time management, like ‘today I have to do this, I have to talk to these people, about this issue’ and how to order it. I think that’s invaluable. I mean, what’s more important than communication? Writing is a process. Trial and error. But you have to focus on what is done right as well as how to fix mistakes. Like what I wrote here in my speech: ‘The dream that in America our dreams can only be limited by our capabilities, not our circumstances,’ that’s a concept I had in my head of using this idea of a ‘dream’. I didn’t know how I was going to use it. The first draft was not good, but eventually I worked on it and found the right way – but just having it in my head wasn’t doing anything. My recommendation to other students is to write as much as possible. But that’s for anyone really, whether in your diary or blog or whatever it is, and get as much quality feedback as possible. I always want diverse feedback. In writing it’s imperative. The beauty of rhetoric, literature, and truly great works of writing is that every word, every syllable, and every intonation is there for a reason. 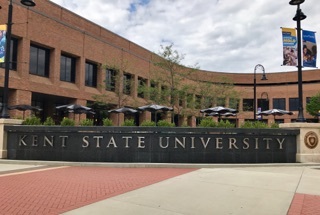 Join our PWR’s very own Dr. Nezami as she shares her wonderfully fruitful experience at Kent State University’s NEH Summer Institute, exploring the immense benefits of teaching students the value of cross-cultural literacy through global texts. 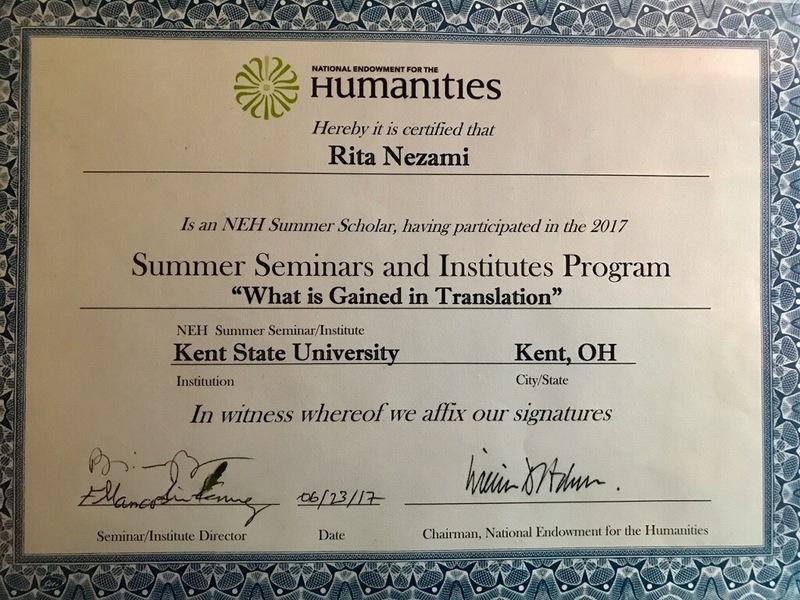 The NEH Summer Institute provided participants with “the resources necessary to engage with the unique issues posed by translated texts and raise awareness about the crucial role played by translation in the making of cultures” and facilitate cross-cultural communication. The readings and discussions enabled us to use translated texts more knowledgeably in our classrooms, research, and literary translation. The institute’s approach was “collaborative” and “constructivist.” The seminar’s daily sessions were also devoted to theoretical readings on five main themes: relationships, time, space, authority and individuality; from a variety of disciplines: literature, philosophy, intercultural communication, history, performing arts. Readings included writers, scholars, and translators such as Roman Jakobson, Lawrence Venuti, Kwame Appiah, Susan Bassnett, Momammad Ghanooparvar, Jorge Luis Borges, and others. These readings offered us an opportunity to familiarize ourselves with the most current translation scholarship and issues in cross-cultural communication. They also offered guidance by seasoned translators on how to incorporate approaches to reading in translation into our own research and teaching. As a literary translator, I am interested in texts that reflect cross-disciplinary and cross-cultural issues. Such texts make our students aware of various disciplines and how they are related. They also spur students to learn about other cultures and ways of being through interdisciplinary and intercultural conversations. The sessions were structured around a discussion of the readings and group work in which we had to bring in texts from our particular discipline that we wished to discuss. Participants were from a variety of disciplines in the humanities and social sciences, from literature and applied linguistics to history, religious studies, communication, cultural studies, anthropology, and philosophy; as well as a variety of languages and cultures (European, Asian, African, and Middle Eastern). The NEH experience helped me realize the importance of teaching translated texts in all my writing courses. In WRT 102, WRT 302 and WRT 303, I teach fiction and nonfiction that is often in translation. While reading translated texts and writing their textual analyses papers, for example, students look closely at word choice, phrases, and expressions that seem foreign yet intriguing. They ask themselves why commonly used words or phrases in English are replaced by unusual ones in translation. One such phrase, for example, is the use of “my little liver” instead of “my sweetheart” as a term of endearment. The word “liver” is frequently used in South Asia, North Africa and the Middle East. Instead of rejecting this cultural strangeness, I urge students to instead understand why there is such a difference and why the translator has decided not to domesticate such moments to make the text more palatable for the Anglophone, Western reader. By understanding and appreciating cultural differences, students learn to accept the fact that there are other cultural ways of being, and that the American way is not the only way. The comparative analysis of various translations of cultures from texts in Arabic, Chinese, French, Russian, and Spanish into English helped me understand the various cultural nuances that enrich the texts and inform readers about the rich cultural differences captured through world languages. Teaching in culturally diverse classrooms at Stony Brook, this NEH experience will further help me appreciate and guide students’ understanding and approach toward the readings of translations and the language of these texts, including word choice, syntax, and semantics. If students have another language, my WRT 303 (personal essay) students first write an essay in their native tongue and then translate it into English to see how the writing is different from essays written directly in English. Especially when writing through translation in this creative nonfiction genre, their word choice and syntax (structure that may be directly influenced by their native tongues), though unusual, often add an interesting and poetic touch to their English language. They discover and are surprised to see what is gained – or lost – in the translation process. Twenty-five scholars and teachers were selected from the United States to participate in the institute. Each day we had to read about 100 pages of scholarly essays, discuss them in small groups, and present our own thoughts and criticism. We were encouraged to present our own projects pertinent to issues of translation and cross-cultural competency and to make formal presentations of our individual case studies. 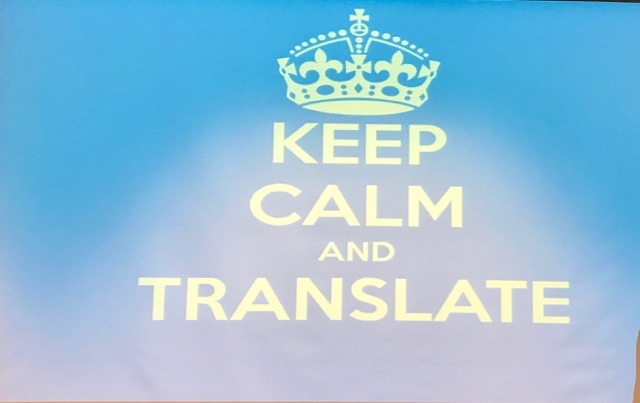 I read one of my literary translations, discussed my claims about translation and cultural domestication, and spoke about the translation process and how and why I teach translated texts in the writing classroom. I also shared my experience teaching experimental writing through translation from a source language into English. On the last day of the seminar, I read my translation from French of a novella, By Fire, which was published in The New Yorker in 2013. The audience warmly responded to it. I have been teaching this novella and my book of translation on the Arab Spring (published in 2016) for several semesters in WRT 102. The book is divided into three sections: my academic introduction to the Arab Spring and the young Tunisian’s self-immolation that triggered the revolts in the MENA region so that readers may enter the following two sections, nonfiction and fiction, with confidence. Looking at the young man’s suffering due to unemployment, poverty and police violence, most students are able to understand his plight, though not his society and culture. Some students see him as a hero, while others see in him a weak and stubborn character as he refused to bribe the police and continue working as a street fruit vendor to support his family. Condemning his decision to commit suicide, students ask questions like why couldn’t he move in with his girlfriend’s family? Why didn’t he emigrate to Canada? Or why didn’t he bribe the police? Because students don’t understand the Muslim man’s religious, social and cultural background, their questions are justified. Yet, as I explain what is permissible in such a society, culture, and religion, students do begin to understand that there are no easy answers, and that what is possible and natural here may not be the case there. Back at Stony Brook, I would like to share the NEH experience with my PWR colleagues individually, if they are interested. I hope to share with them my experience of teaching how to read and write about translated texts in the writing classroom to foster global citizenship and bring about global perspective and awareness. With summer in full steam, so is Stony Brook’s PWR! 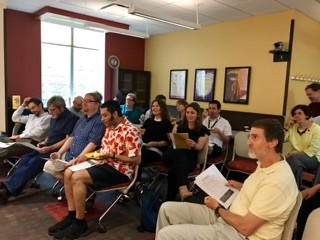 In addition to offering many inter-semester courses, Stony Brook’s Writing and Rhetoric faculty are involved in a wide range of further academic and professional development projects – both here at the university and abroad. 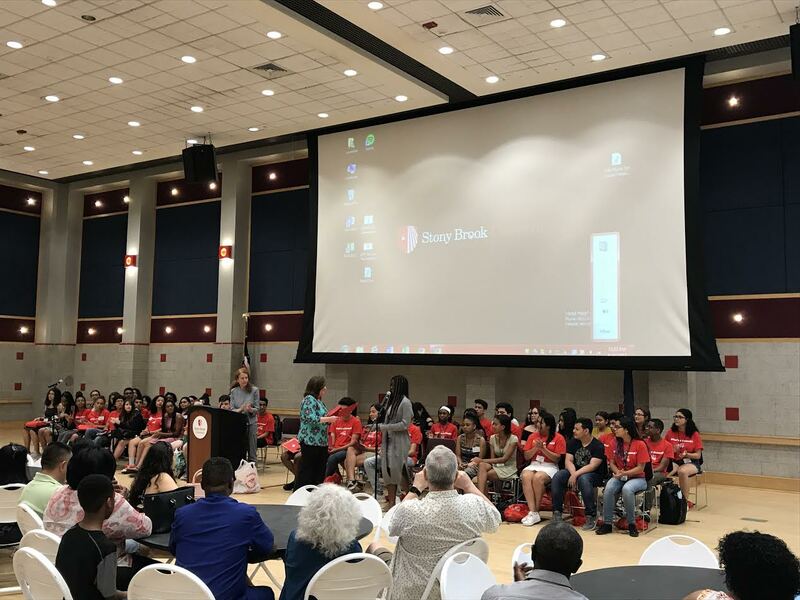 One program in particular, the College of Arts and Science’s Pre-College Institute, offers high school students an invaluable glimpse into the life of a college student via an immersive week-long stay at Stony Brook University. Here, students are exposed to lectures, social activities, and many other college prep training and resources. The Pre-College Institute graduation ceremony! As part of the Pre-College Institute, students are enrolled in a variety of exploratory courses, including: music, philosophy, science, and writing. For most, this is their first exposure to college level writing. Their two-part, Monday and Friday writing class focuses on the nature of writing as a rhetorical tool, and furthermore, how to use this understanding of persuasion and audience awareness to craft a full college essay. As is the nature of writing, however, the value of these lessons intertwines with others, expanding far beyond just putting pen to paper. – Carolyn A. Sofia, Ph.D.
Clearly, these students greatly value their time at the Pre-College Institute, as do the instructors. To expose young minds to new horizons is a wonderful thing, and one that this program does exceedingly well. Thoughts from Joe Labriola’s 2017 AP grading journey! Join me on my narrative musings of my travels to, during, and from my second AP grading journey in Tampa, FL! I suppose the trip really started the day before, on the highway, my 2007 Suzuki Reno sputtering and squelching down to a laborsome roll. The vainful revving cried all the signs of transmission trauma, and so rather than risk trying to press on, I pulled over and did the only reasonable thing that an at best moderately mechanically-minded college writing professor who had to be 1,300 miles away in Tampa in less than 24 hours could do: I called upon our Lord and Highway Savior, Triple-A. One could find oneself questioning one’s sanity, packed in ‘old Joe’s’ tow truck along with his tools and drive-thru soda cups. Join our Program in Writing and Rhetoric’s very own Soni Adhikari as she shares part two of her two part piece on the importance of emphasizing global perspectives in her students’ writing! Click here to read part 1! In my previous post, I shared some thoughts and strategies about using literacy narratives of transnational scholars/writers to foster our students’ interest in the larger world. Here I will discuss how (beyond reading and discussing stories about people who cross cultural and geopolitical borders) can further help our students research and write about global issues or at least use transnational perspectives when writing about local issues. My key message in part 2 is that cross-cultural and transnational/global perspectives can help students generate new ideas and develop more sophisticated arguments about issues, whether transnational or local. To start with an example, students in my current first-year-writing class write about global issues such as world water shortage, refugee crisis, terrorism, one child policy in China, free trade, conflict in South China Sea, and so on. I find that students are generally more interested in their writing (as well as research, learning, and making arguments) when working with global issues like the above. In fact, even when they write about local issues, which they can do by comparing them with issues elsewhere or bringing perspectives from discourse or research abroad, my students write more engaging papers overall. For example, some students have written about the water crisis in Flint, Michigan and in states like California while comparing the local issues with global or transnational ones. Being able to bring new perspectives and more sophisticated understanding of the same problem from different places allows students to look beyond local debates on the issue. They are able to add whole new dimensions to their arguments. Additionally, borrowing perspectives from other cultures and contexts can help students stop considering their own local ideas and perspectives as universal, logical, or valid while missing important aspects of the topic. Reading about social issues from around the world can provide them with lenses with which they can rethink their experiences and examine social issues that they had never thought about. 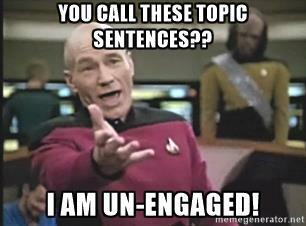 Using global issues and perspectives in the writing classroom is, however, not easy. So, let me discuss a few challenges and share how to overcome them. First, students may be daunted by the fact that there are too many things going on around the world and that many of those things do not affect them directly. If we introduce them to various global issues through readings (instead of simply demanding that they write about them), we can help them choose what they are most interested in. Second, students do not know where to look for sources and how much they need to know before they can take an intellectual position on a subject. This challenge can be overcome by providing students not only a list of topics and information sources but also annotated bibliographies and sample essays (that students can donate for future classes), class discussion of samples, one-on-one feedback, and support of librarians. Third, when it comes to unfamiliar or complex global issues, students may find information but they may not know how to analyze it, whose perspectives are relevant, and how to detect bias. As a result, they often write superficial arguments and even reinforce bias and stereotyping about other cultures and people. I address these challenges by providing students a set of critical questions and asking them find and use sources from the part of the world where their issue is about. In short, if we can facilitate the process of reading, researching, and writing about the larger world, we can help our students develop a sense of global citizenship and find greater opportunities for learning and personal growth in the increasingly globalized university and beyond. Have thoughts of your own on how to foster these types of thoughts and writing within your own classroom? Feel free to share in the comments below! 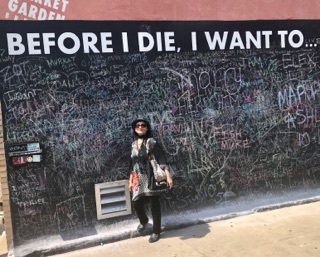 Join our Program in Writing and Rhetoric’s very own Soni Adhikari as she shares part one of her two part piece on the importance of emphasizing global perspectives in her students’ writing! This essay is my attempt to expand upon a section that I contributed to a blog post written together by several PWR colleagues in fall 2016. I also presented another version at the Conference on College Composition and Communication in Portland, Oregon in March 2017. Here I share specific assignments and teaching strategies, including the use of literacy narratives of transnational scholars, research work, and my own cross-cultural experiences and perspectives, for illustrating how I foster global perspectives in my students’ writing. I also discuss why I think we must integrate global perspectives. Let me begin with an anecdote that highlights the power of cultivating the sense of global citizenship, no matter where people belong to by birth, culture, or nationality. A few months ago, my family invited an American couple living on Long Island for a dinner. The scholars had lived in my home country Nepal for 25 out of last 50 years, with the wife serving as Director of the American Lincoln School in Kathmandu and her husband serving as Director of the Fulbright Commission office in Kathmandu (among various other positions). The first voice I heard when my husband opened the door was of a man who spoke Nepali with amazing perfection. My two children, eight and six, spoke a few Nepali sentences, heavily accented like English, with the guests, before giving up and switching to English only. As we sat for a Nepalese dinner, I learned from them that there has always been a sizable community of Americans in Kathmandu for decades and that it is growing. And what I know about Americans whom I had encountered in Kathmandu as I grew up was that they loved it so much that many of them spent their lives there. From the shoeless hippies of the 1970s to the diplomats who live in luxury in the capital, and from the missionaries whose number has dramatically increased in the last few years to visiting professors and Peace Corps volunteers, Americans who have been to Nepal just love it. 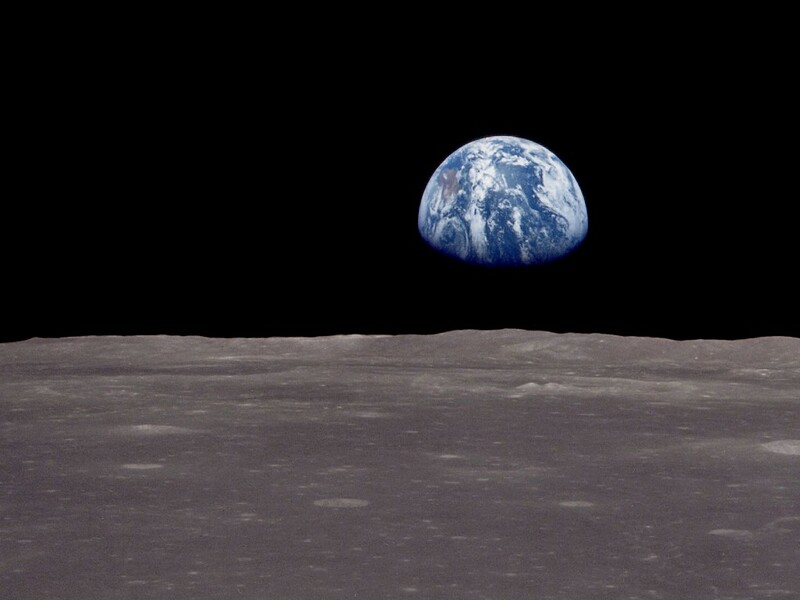 When listening to the couple who had lived, learned, and worked in different places around the world (during the other 25 years), I could not help thinking that my students (and especially American citizens) have the same kinds of privilege for experiencing the world if they want to. I could not dream, and still cannot, the same kind of mobility that my domestic students have in terms of travel access, resources, and language to travel the world. Even if my students cannot physically travel the world, they are more able than most people around the world their age are to expand their intellectual horizons by reading, connecting to people virtually, and working in professions that will allow them to connect and learn about the larger world. I thought that my students would be interested in doing so if teachers like me encourage them and teach them about the world. The next day, as my first-year writing class discussed Suresh Canagarajah’s literacy narrative titled “The Fortunate Traveler: Shuttling between Communities and Literacies by Economy Class,” I was surprised that students expressed sympathy for the character in the narrative. 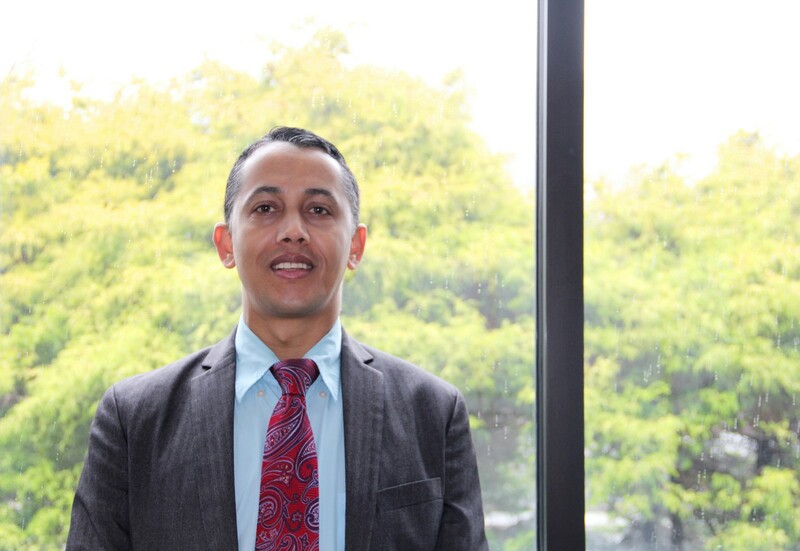 In his story about moving back and forth between Sri Lankan and American academic communities, Canagarajah describes how he returned to the United States after teaching for a few years in his home country. For the students, both domestic and international, the story fit a perfect mold: they thought that the character escaped a developing country that was in political turmoil and violence and into an advanced country with greater opportunities as well as peace and security. However complex the actual issues may be, students read the text as a story of migration where there is a one-way street where a person goes from violence to safety, restrictions to freedom, lack of resources to abundance of them, and so on. Start searching the world around you! When I pointed out that Caranagrajah’s story actually explores complex social, political, linguistic, and cultural issues, students started to see that the story had issues that went beyond the traditional migration narrative. They started seeing how Canagarajah describes how people navigate, negotiate, and succeed when they cross borders and not just a story of “coming to America.” So, what began as sympathy for the character of the story turned into appreciation, and their own sense of self-sufficiency as citizens of a super power nation grew into an interest in global citizenship. From challenging students to think about the complex dynamics of power and privilege, cross-cultural navigation and communicative negotiations in Canagarajah’s story, I have found that by reading stories like this, both domestic students and students from abroad can learn about the world and develop an intellectual courage that may some day help them live, work, and succeed abroad like the American couple I described earlier. Moreover, reading stories from writers around the world provides students unique opportunities to develop their critical thinking and reasoning skills for their own writing. If, in the past, generations of immigrants like Canagarajah brought their knowledge and experiences to America, new generations of American students are also likely to go elsewhere in the world and make their own impact—indeed, our American students deserve the opportunity, like my American-Nepali guests had! 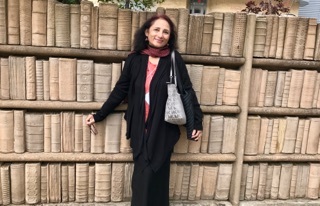 Be sure to check back soon for Soni Adhikari’s second installment as she continues to discuss the wide-ranging rolls of teaching cross-cultural and transnational/global perspectives in the classroom! Check out Saher Jafri’s interview with one of Stony Brook University’s finest faculty members! 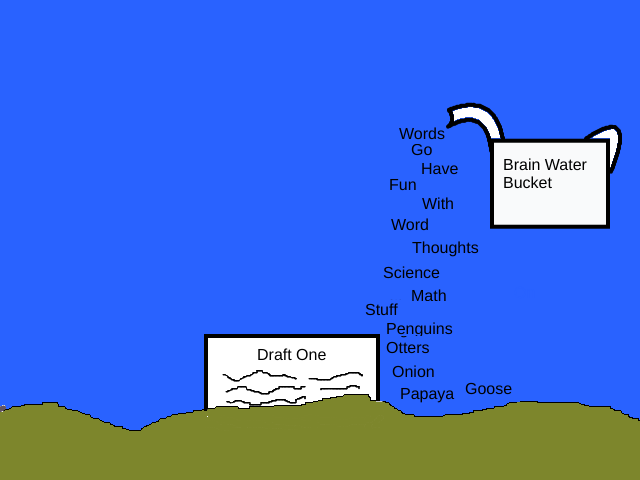 Part Two: What Is the Draft, Really? In the past few semesters, when I abandoned grading for effort and assigned a grade based solely on the existence of mandatory components, it meant that my students were being forced to include elements that they were not necessarily ready to tackle. Contemplating this methodology and its effectiveness, it has recently dawned on me that assigning a grade for a draft might come into conflict with what we perceive as its fundamental purpose. I once took off points on a student’s draft because it had not included transition sentences. My justification was that while she did not need to have transitions for each body paragraph in her draft, a few here or there would have helped to make her structure a bit more clear in the early stages so that I could better guide her. She came to my office to discuss the points that were lost and told me that she had been taught in the past to leave the addition of transition sentences for the revising/proofreading phase. She had been told to focus more on the thesis at hand and on collecting evidence to help inform her opinion. This student was particularly bright and conscientious, causing me to wonder if, besides my own nudging, her previous teachers had also been in error in telling her to develop transitions later on in the process. Had they, too, disrupted her natural process? In order to understand the complexities of how we view the draft, it’s essential to look back to its roots. Strunk and White mention in The Elements of Style, originally published in 1959 and based off of Strunk’s much smaller 1919 version (xiii), that “the first principle of composition . . . is to foresee the shape of what is to come and pursue that shape” (15). By this definition, it appears that this early model included outlining and a projection of structure prior to the drafting phase. Hence, nudging my student to include transitions was an attempt to make her forge connections between her current and subsequent paragraphs which would then become indicative of the larger overall structure. This instruction at least loosely followed Strunk and White’s methodology. However, a fundamental conflict over how the draft comes into existence can be noted. Strunk and White go on to mention that sometimes, “the best design is no design” (15). They clarify that they are referencing less formal assignments but they do still acknowledge that in some cases and for some students, planning ahead is not mandatory which at first, appears to line up with the ideologies of Mills. Barriss Mills seems to promote the idea that writing is an individualized process for each student. In his 1953 article “Writing as Process,” he states that even at that time, “semantic theory conceive[d] of meaning in terms of stimulus and response rather than clearly defined and fixed areas of meaning attached to individual words” (19). While Mills is referencing, in part, meaning making and grammatical instruction, it should be noted that his point about stimulus and response mirrors individualized thought processes. For example, while writing, thought can imbue thought which then imbues further thought and so on. Therefore, while some students are putting a freewrite into paragraph form, they are enhancing and further developing a clear conception of their larger purpose. Hence, while some students benefit from pre-planning structures such as outlines, some might benefit from a gradual awakening of thought as a result of this back-and-forth process. Such a concept is echoed by Peter Elbow in his 1983 article “Teaching Thinking by Teaching Writing,” explaining, “when someone really gets going in a sustained piece of generative writing and manages to stand out of the way and relinquish planning and control – when someone lets the words and images and ideas choose more words, images, and ideas – often a more elegant shape or organization for the material is found” (37). Some students, including my former student mentioned above who was quite focused on following teacher instruction, could benefit from a more organic means of deriving a thesis statement. However, there is reason to doubt that Mills ultimately supports such freedom of gradual expression. While Elbow and Mills appear to have similar ideologies, Mills diverges upon further perusal of his article. He eventually goes on to state that “purpose is at the very center of the writing process” (20), which falls in line with Strunk and White’s stance that a goal needs to be conceived of early on. Furthermore, he states, “if related to the concept of purpose, the selection and organization of material can be made much more meaningful, as parts of the process of communication rather than as ends in themselves” and that “the cumbersome business of formal outlining . . . can largely be dispensed with” (23). While his sentiments on outlining may differ from Strunk and White, he essentially exchanges preconceived goal setting with the notion of purpose. At this point in the article, the reader is led to question the freeing nature of his point about stimulus and response, particularly if he encourages that student writers develop a purpose prior to the start of the writing process. Although I have only skimmed the surface on varying opinions on the draft, it is clear that even in its conception, our definition of the draft was in conflict. That being said and considering its roots, is it even founded to assign a number to its creation? Should a draft really be written with a particular purpose in mind? Should a thesis statement absolutely be conceived of prior to its creation and should an outline be developed based on this thesis statement? What about the interstitial spaces between additions to paragraphs? Does thought not occur between paragraphs, sentences, and words? Maybe it is time to reconceptualize the idea of the draft and maybe this rethinking has everything to do with context. Mills, Barriss. “Writing as Process.” College English, vol. 15, no. 1, 1953, pp. 19–26. Strunk, William, Jr., and White, E.B. The Elements of Style. 4th ed., Longman, 2000. Join our Writing and Rhetoric Program’s faculty in our flash non-fiction narratives about the most daunting challenges we’ve overcome to make it to class – a creative collaboration featuring Carolyn Sofia, MaryAnn Duffy, and Joseph Labriola. T wenty-five years ago I was sitting in the gardens at the Gran Hotel del Paraguay, a colonial, 19th-century hotel on the outskirts of Asuncion. Holding my soon-to-be, infant daughter, her dark curls resting on my shoulder, I whispered over and over, “Mbaé’chepa?” – Hello, how are you? – the only Guarani phrase I knew. A doctoral student at Stony Brook and a freeway flyer teaching composition at three different colleges on Long Island, I couldn’t afford to stay four months in Paraguay like other adoptive parents did. Instead, I visited for a week a few times to deal with court paperwork and to acquaint myself with the little doll who was becoming the center of my world. It was Thursday. I was due back on Long Island for my next class on Monday. Once at the airport on Saturday my worries began to build. Spring Break had come early and winter had apparently decided to stay late. A big snowstorm was approaching North America’s east coast. While the jet was cruising over Brazil, an announcement came that the storm would force us to de-plane in Miami. Thoughts of my daughter were driven away by the faces of my students who were supposed to hand in an important paper at Monday’s class. It never occurred to me that the school might be closed due to snow. Hordes of passengers crowded the Miami airport. With all flights destined for New York cancelled, every seat was already taken in the waiting area. Like hundreds of other people I ended up fitfully sleeping on the floor as the hours crept by with my arms around my bags. Sometime toward dawn a loudspeaker woke me. The voice said a first flight was leaving for New York; the airline would take tickets from any carrier. Bags grabbed, I began to run. Other people had awoken and were running too, but somehow I managed to get a seat on the flight. In New York, the parkways looked plowed enough to get to a friend’s house in Nassau where my car was parked. The plan had been to sleep there on Sunday night so I would be closer to the college on Monday morning. As the limo maneuvered over the slushy roads, I felt myself becoming giddy with self-congratulatory thoughts – who actually manages to come from another continent to get to class? And, look how much life had improved – lousy airport food would give way to a home-cooked meal, the hard airport floor would be replaced by a cozy bed. Laughing to myself on Monday morning, I switched on the TV. The local news channel said the college was running classes as usual that day. Three hours before class was scheduled to start, I went outside to dig out my car from the remaining snow. When I started shoveling, the smile quickly faded. A flat tire! How could this happen? Every movement forward since Saturday had brought another challenge. Had I been out of my mind to go to South America the previous week in the belief that no one would notice, not least of all the weather gods? Life had transformed me into Odysseus trying to sail past Scylla and Charybdis when I was supposed to be Penelope at home with my weaving. Unbelievably, the AAA sent help quickly, so I got to the campus fifteen minutes early. Surprise: only half the class came. I marked the rest of the students absent and refused to erase the absence even though they complained to the dean that I was too strict. Did my strictness matter? I hope so. Twenty-five years later my infant daughter is now grown and a mother herself. Those students are probably parents. I wonder if they taught their own children an important life lesson: we show up for what’s important to us. I had just graduated from college with a degree in Philosophy. I had to make the retrograde move from Chicago to my parents’ house in Santa Barbara, California. I was lucky I had a place to stay while I figured out what I wanted to do, but I knew it couldn’t last long between my mom and me. I had to find work and my own place fast. This morning was the start of all that. I was reporting to my first assignment given to me by the local temp agency – fill in for as a secretary at a manufacturing warehouse. I dressed in a skirt and stockings, modest heals, my silky blouse – what I thought a secretary should look like. I got in my used orange Datsun B210 hatchback, manual. It was my first car. A half mile before I got to the job, the car lurched to an abrupt halt in the left-turn lane. The transmission to my first car fell out. I got out, tiptoed around the car when just at that moment, a man in a greasy jumpsuit with long very dark frizzy hair and a three-day beard pulled over on his antique motorcycle. We pushed the car to the side. I hopped on the back of the bike and was safely and punctually delivered to my first temp gig. I crawled off the back of his bike, hiked my skirt down, and gave him a big hug. When I swung around to walk in, I saw the whole staff looking out the window watching me thanking my knight in shining armor. I sat down in the cold warehouse at a grey metal desk, sticky with the years. Someone plopped a six-inch stack of paper-thin receipts in front of me and told me to put them in alphabetical order. I was also to answer the phone and yell back to the manufacturing area, “Phil, the phone is for you.” It was loud and cold and fluorescent. I called the woman at the agency and told her I couldn’t do the job and walked out. Even though my relationship with my mom is difficult, my mother did – in a 1970s feminist kind of way – tell me to learn how to type so I could always support myself as a secretary. And typing got me out of temp work, into high-paying legal secretarial and paralegal work, which got me through graduate school, and as far away from that stack receipts and warehouse as I could get. That’s how I got to writing class this morning. Of course it doesn’t start. The one time you actually plan to come early to school. In hopes of finishing those homeworks you forgot the day before. In hopes of getting everyone back their writing a class day early. They’d appreciate that – you think. But your car isn’t starting, and likely won’t anytime soon. What to do? You could call a tow truck, or a friend for a jump, or say the heck with it all and make a nice breakfast instead as you figure things out. There’s still hope though. Hope to grade those homeworks. If you move quickly. There’s a bus stop right up the road, maybe a quarter mile. The only problem – you think as you stubbornly begin trudging – is that its all uphill. But as long as you catch a bus, you might make it in time after all. Panting, you sprint the final few hundred feet parallel to the bus as it slides up to the stop. You huff your way on-board, amazed by your seemingly Olympic achievement. At least the sun hasn’t fully risen yet – you think – patting the sweat from your brow. It’s early September, after all, and about to get a whole lot warmer today. Replacement bus?? – you think – never so angered by such a seemingly non-angering phrase. “Do you have any idea when?” you ask, as congenially as you can. You have a moment of pause. Reflective emotions: rage, defeat, humor, and finally determination. You sprint off the bus and begin down the street. The good news is, the trek uphill earlier turned out to be the perfect warm up. The bad, you have two-and-a-half more miles to go. But the Gods know you’ve come too far to give up now. Of course the tenuous clouds are obliterated by the rising – and warming – sun as you continue on. Of course the ‘replacement bus’ whizzes by you only about quarter mile into your classathon. You check the time, actually running the final mile or so with your backpack on. By the time you reach class, bursting through the doors, five minutes late, panting and drenched in sweat, your students gape as if you’re mad. But you’re not mad. Not anymore. Please feel free to like, share, and comment with any of your own daring travel anecdotes in the comments section below!